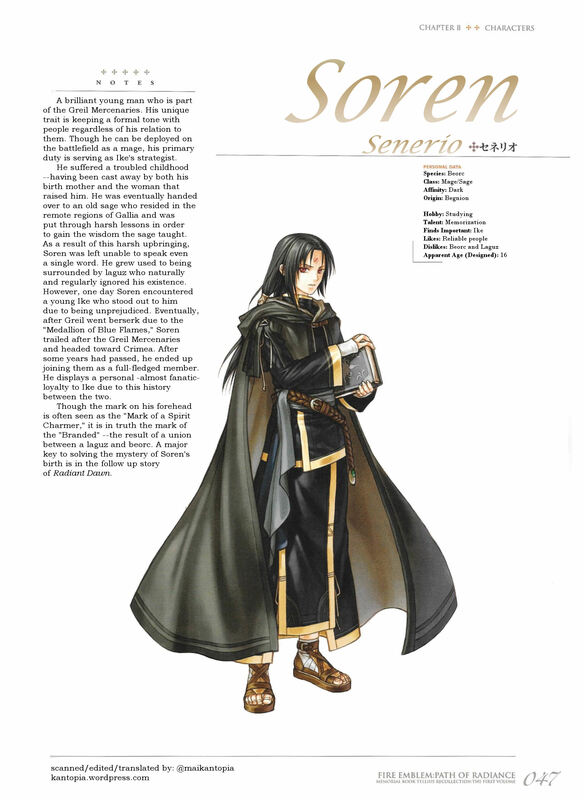 This post is a character profile of Soren (page 47). 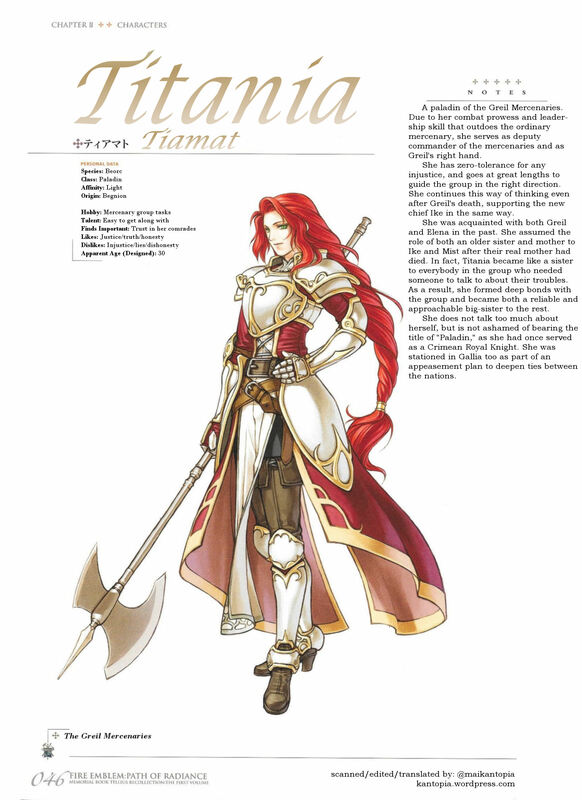 This post is a character profile of Titania (page 46). 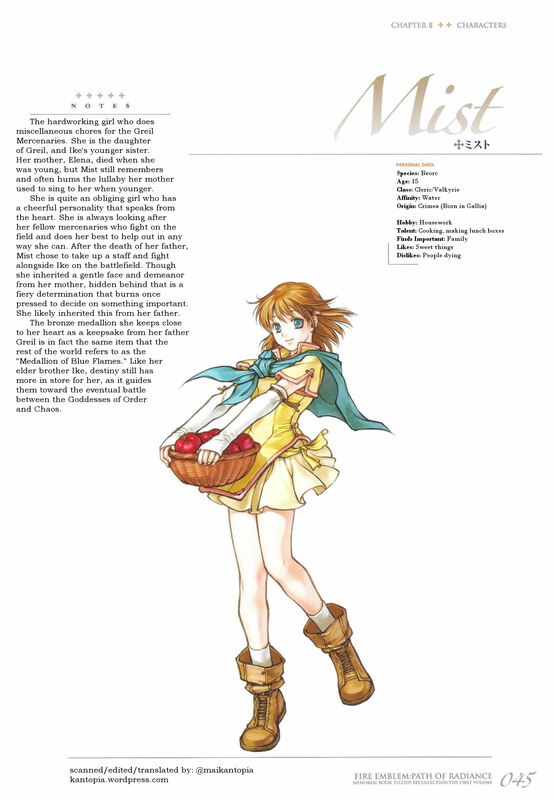 This post is a character profile of Mist (page 45). 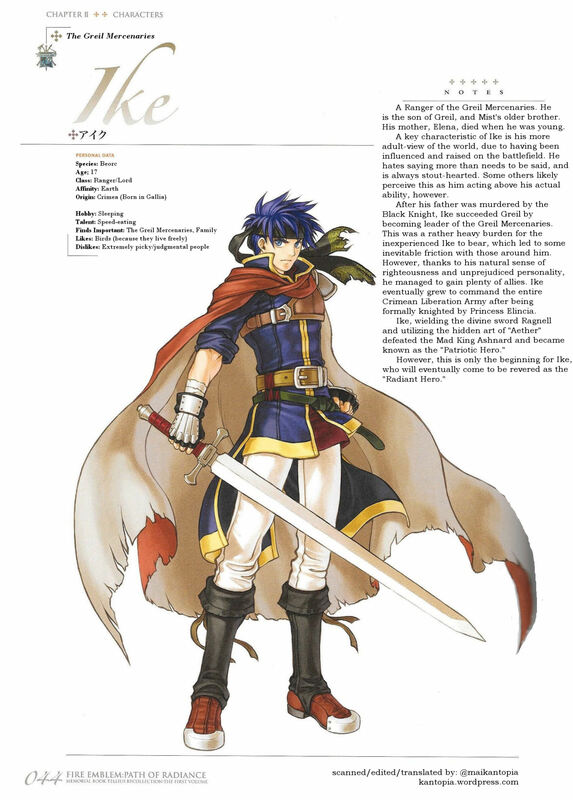 This post is a character profile of Ike (page 44). 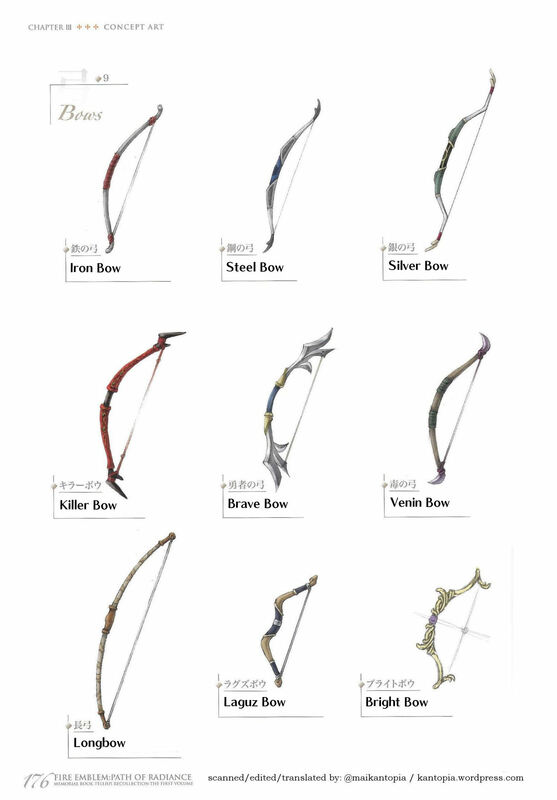 This post is of page 176, which features concept artwork of some of the bow in the game. 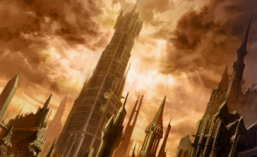 There is no commentary, and weapon descriptions were the same from the game (and so omitted). Original Japanese names can be seen alongside the English weapon names. 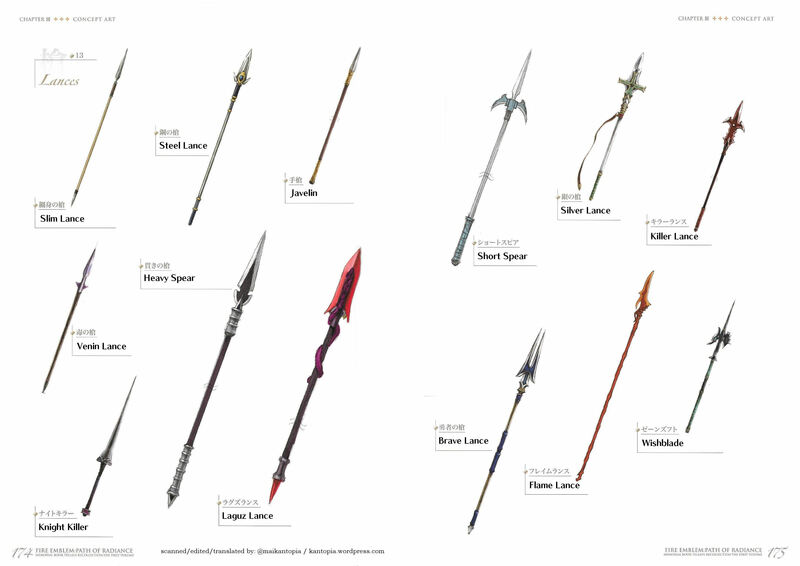 This post is of page 174-175, which features concept artwork of some of the lances in the game. There is no commentary, and weapon descriptions were the same from the game (and so omitted). Original Japanese names can be seen alongside the English weapon names. 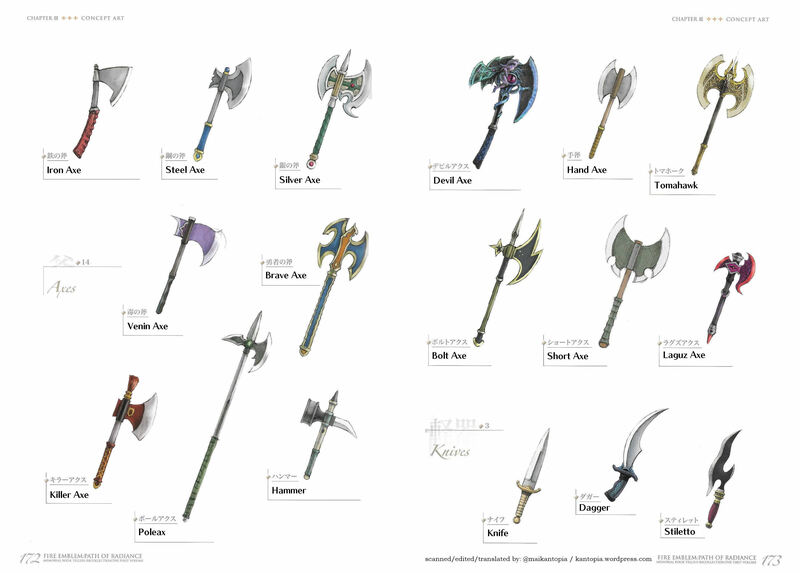 This post is of page 172-173, which features concept artwork of some of the axes and knives in the game. There is no commentary, and weapon descriptions were the same from the game (and so omitted). Original Japanese names can be seen alongside the English weapon names.